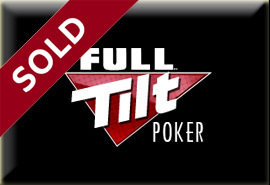 Is the sale of Full Tilt Poker a done deal? “I was told by what I feel (and most of you would too btw) is a very reputable source. The person doesn’t want me to say their name. Schwartz is a well-respected member of the poker community and has no history of outrageous remarks and claims, coupled with the fact that he has a ton of contacts and friends in the poker world; the “reputable source” is likely to be someone with a major role inside Full Tilt Poker. There has been no official statement by Full Tilt Poker or any group of potential investors, but Full Tilt attorney Jeff Ifrah did tell PokerStrategy.com on Tuesday that a potential deal was in its final stages, with the only the sticking point being the status of Full Tilt Poker’s AGCC license. This entry was posted on Wednesday, September 28th, 2011 at 9:59 am and is filed under Poker News. You can follow any responses to this entry through the RSS 2.0 feed. You can leave a response, or trackback from your own site.